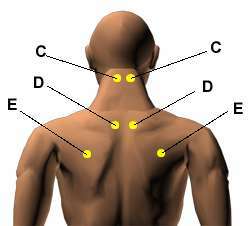 There are the acupressure points for relieving Cough . Working on these points can help you get better quicker. You do not have to use all of these points. Using just one or two of them whenever you have a free hand can be effective. 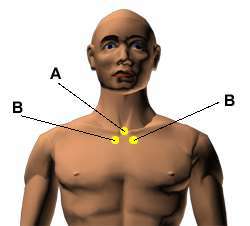 Location: At the base of the throat in the large hollow directly below the Adam’s apple.